Each week during the season we update the All-Classification Top 25 rankings including our next five teams that are on the bubble to be potentially included in future Top 25 rankings. 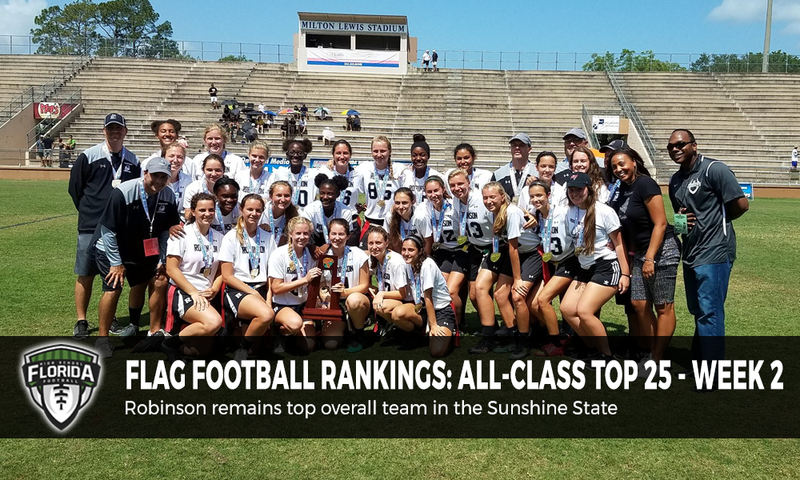 Information used to determine the rankings include record, quality wins, defeating ranked opponents and strength of schedule as well as being ranked in their respective classification’s rankings. It is important that teams update their information with scores with us on a regular basis each week by emailing us score reports at flag@floridahsfootball.com, sending us a direct message on Twitter @FlaHSFootball or updating scores in the ScoreStream app. Lack of information (scores) reported by the teams will only hurt their chances of being ranked, especially if they are having a solid season.